Interests: Groundwater-surface water interactions, hydrogeology, watershed hydrology, analytical and numerical modeling, data mining and assimilation. I study the movement of water, solutes, and energy through landscapes and river systems. Most of my current research focuses on the interactions between surface water and groundwater at multiple temporal and spatial scales, ranging from small river bedforms and reaches to continents. This work combines numerical modeling, data mining and assimilation, and a whole lot of field and laboratory experiments. I teach courses on fluid dynamics for engineers and earth scientist (Fluid Mechanics and Flow and Transport in Hydrologic Systems) and the use of models to adequately represent and understand natural systems (Data-driven Modeling in Science and Engineering). Chao Wang got both his BS and MS of Engineering in Hydrology and Water Resources from Hohai University in China. He delves into hydrology with the leading of two questions: How do hydrologic systems work? What kind of onservations can inform our understanding of these complex systems? For the first question, Chao is currently focusing on modeling groundwater flow and its interaction with surface water, analytically and numerically, incorporating field observations. More specifically, he is trying to investigate the controlling factors on surface-subsurface flow interactions and its potential response to a changing climate. For the second question, Chao has a great interest in applying remote sensing data to hydrology. This was mainly his previous work as a master student. Chao used state-of-the-art GRACE satellite observations to estimate large-scale terrestrial water storage changes, its response to changing climate and anthropogenic activities and its implications for sustainable water resource management. Chao’s work is funded by NSF and NM WRRI. Bowen’s work focuses on…This work is funded by PNNL and DOE. Daniel’s work focuses on…This work is funded by NSF. 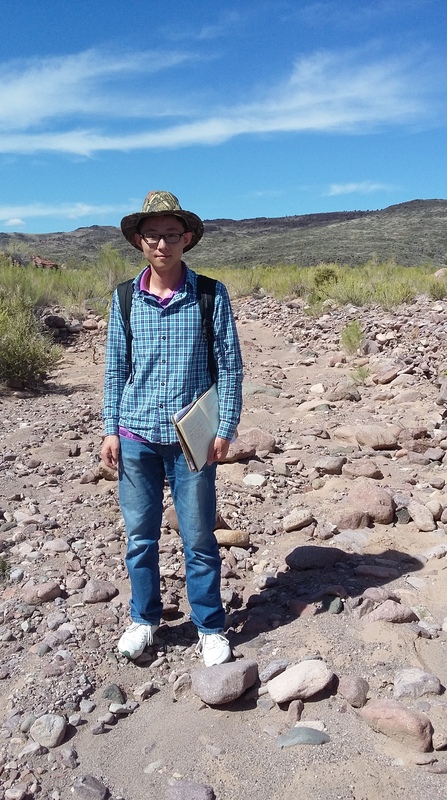 Quiao’s work focuses on the use of analog and numerical experiments to understand flow and transport processes in karst systems. Liwen’s work focuses on…I co-advise Liwen as part of the European Union’s project HypoTRAIN. Tanu’s work focuses on…I co-advise Liwen as part of the European Union’s project HypoTRAIN. Nathan’s work focuses on understanding flow and transport processes in Arctic ecosystems. Ice-wedge polygons are ubiquitous landforms in Arctic ecosystems characterized by large amounts of organic carbon. The degradation of these landforms can result in the release of significant amounts of carbon dioxide or methane, highlighting the importance of understanding their hydrological regimes. This knowledge is fundamental to design future numerical and field experiments, as well as to propose adequate conceptualizations to upscale hydrologic fluxes in Arctic environments. This work is funded by Los Alamos National Lab and DOE. Rebeca’s work focuses on the use of heat as a natural tracer to estimate connectivity between surface water and groundwater. Her study site is the Values Caldera National Preserve, NM. This work is funded by NM EPSCoR and NSF.